Many Spokes Farm | Happy Hens and The Center for a meaningful life. Eliminating food waste from restaurants, groceries, bakeries, and breweries. 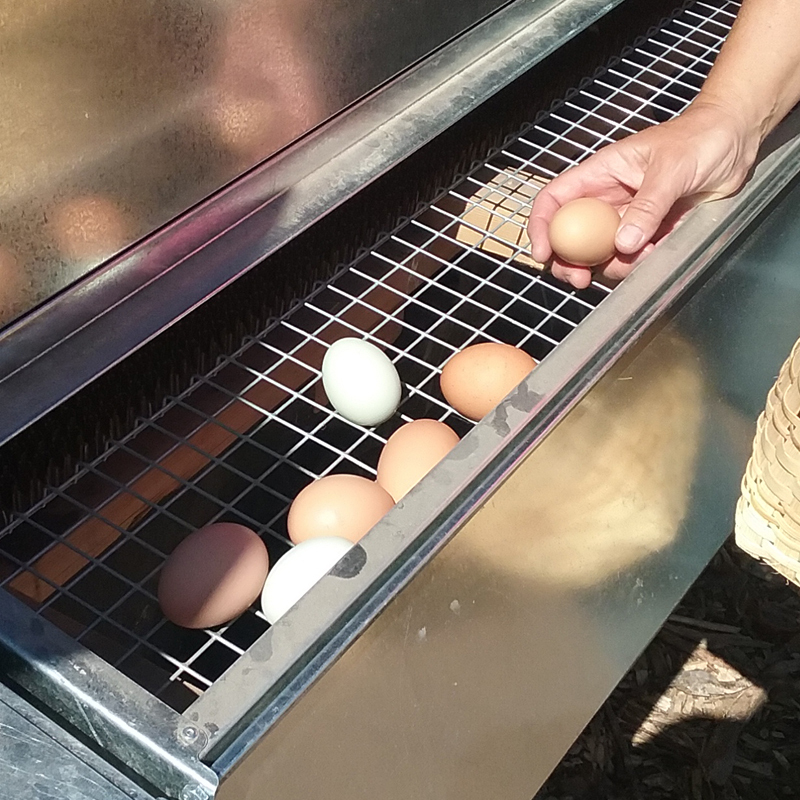 Training interns to have their own Good Egg / Good Planet farms. We collect 100% of the food we feed our flock from restaurants, groceries, bakeries, and breweries. We’re making our planet more environmentally sustainable. 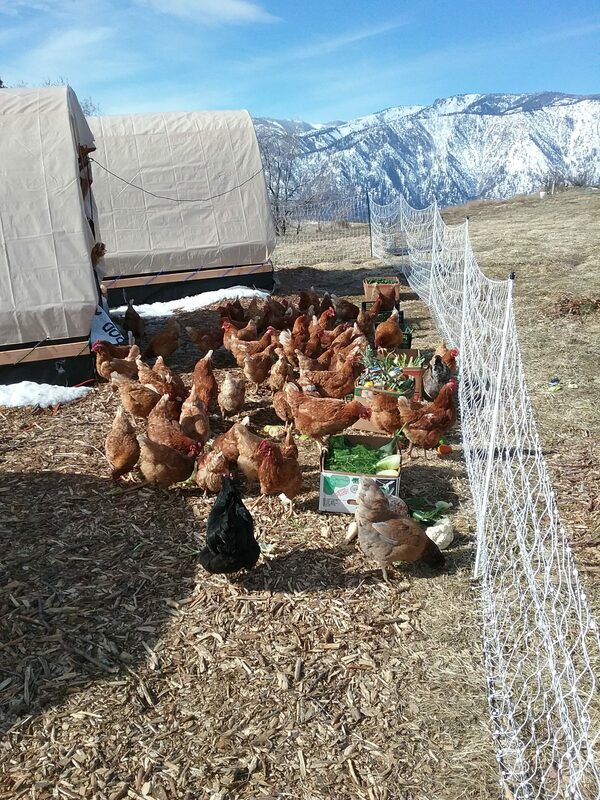 The diverse nutrition of fruits, vegetable, grains, and even meat scraps makes the best eggs in the area, sold at local businesses in the Lake Chelan Valley. At the same time we’re running an economically profitable local family farm. 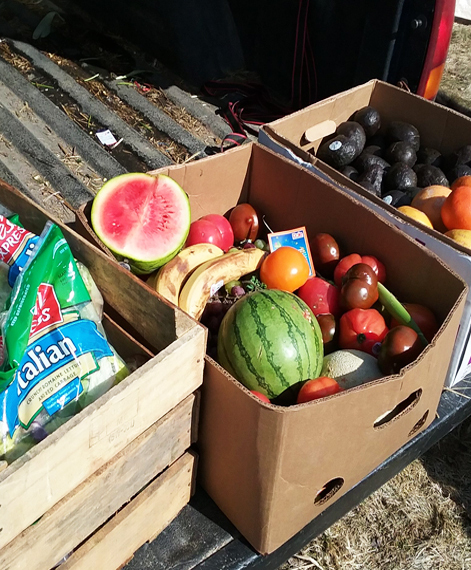 Of the top eighty most effective actions to lower atmospheric CO2 and make a more sustainable planet – SOLVING FOOD WASTE is third out of all those eighty. AT HAPPY HENS WE’RE DOING THAT! When you donate to this project, you help us train interns to start their own Happy Hens model farm in another local community. Your donation helps create a new FARMER. And your donation helps build A FARM IN A BOX, the essentials they need to start their own farm. 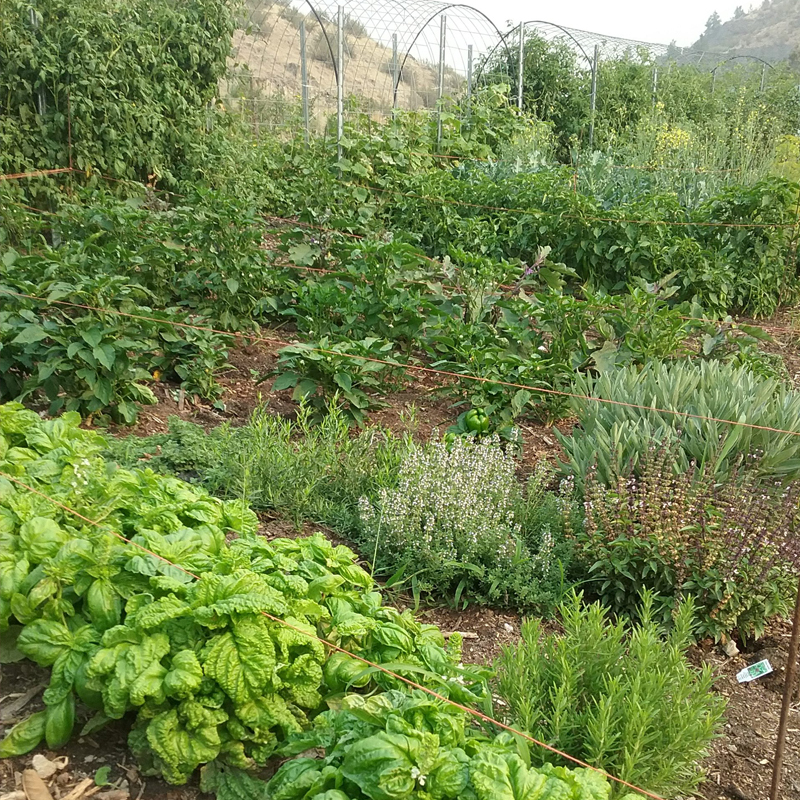 Without donations we’ll make progress…BUT WITH DONATIONS…the benefits to planet, farms, and healthy breakfasts gets BIGGER, BETTER, and FASTER. 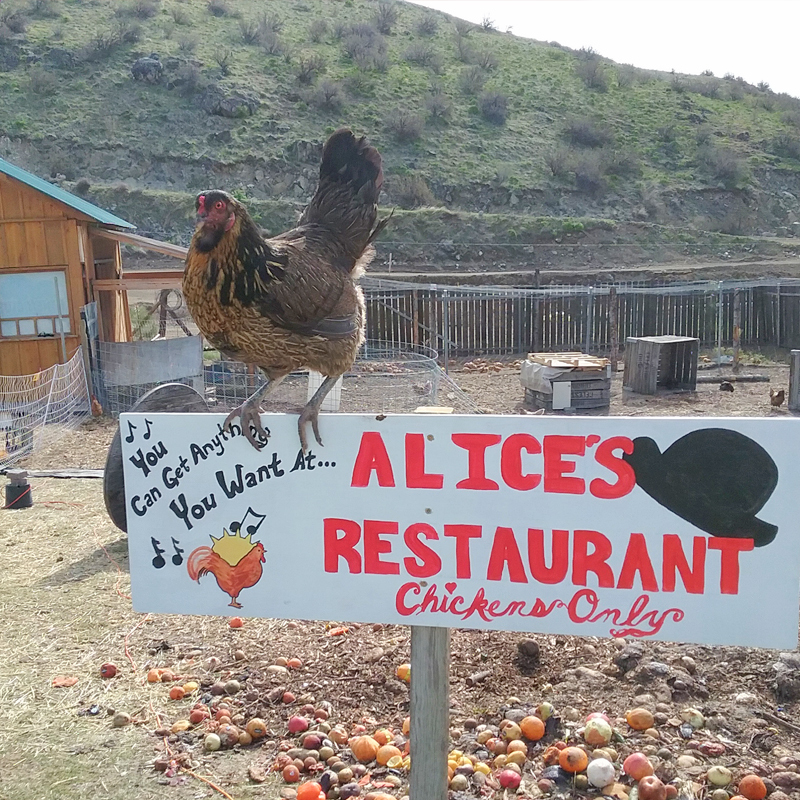 As our first chicks started growing up in 2017 we went to one of Chelan’s finest restaurants and asked if we could pick up food scraps. Ever since our chickens have been fine dining on Campbell’s leftovers – everything from Romaine lettuce to bread rolls to leftover prime rib, salmon, and halibut. All the fixin’s from the prep kitchen, and leftovers from buffets and group events. 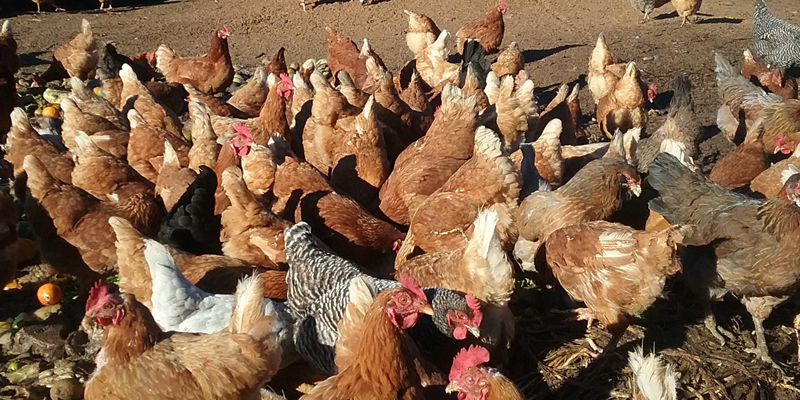 Become a Chicken Farmer or Donate Today!